A group of young people in Hanoi are helping to raise awareness about environmental protection by collecting plastic bags released during the carp releasing rituals at local ponds and rivers on Kitchen Gods' Day. Although the Kitchen Gods’ Day falls on January 28 or the 23rd of the 12th lunar month, local families have started to bid farewell to the gods and release carp over the past few days. 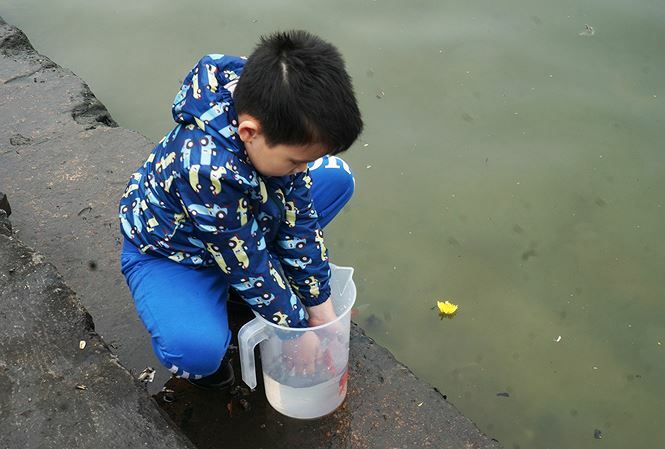 Despite the cold weather, the group, who are mostly high school and university students, have sent members to lakes, rivers and ponds across the city to help people collect plastic bags after releasing carp. 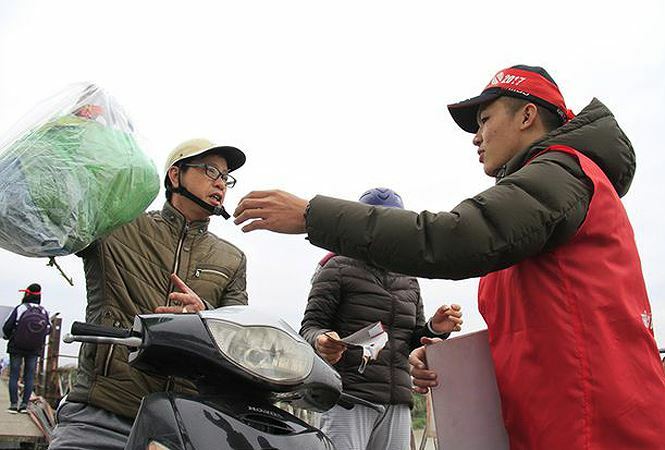 At Long Bien Bridge, hundreds of members have been available from 6 am on three days of 21st, 22nd and 23rd lunar December to prevent people from throwing plastic bags into the Red River along with the fish. According to head of the group, Le Tien Dat, they have been doing this work for six years and are happy to see that more people are realising the importance of environmental protection. "We're having less work to do in recent years," Dat said. "Before many people just threw plastic bags or incense ash and sticks into the rivers but now they don't. 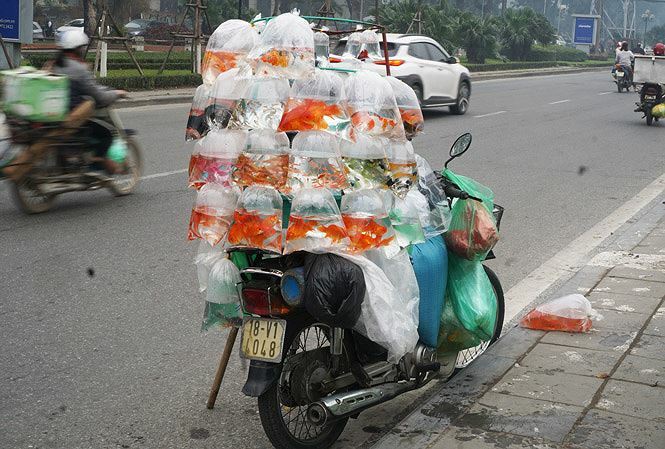 Some people have even stopped using plastic bags but put the carp into pots or buckets. We're happy to see such changes." 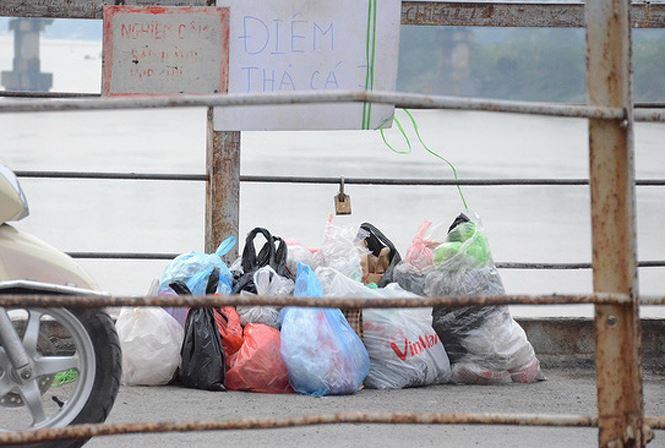 "On January 27, we collected nearly 300 plastic bags at the Long Bien Bridge," he added.